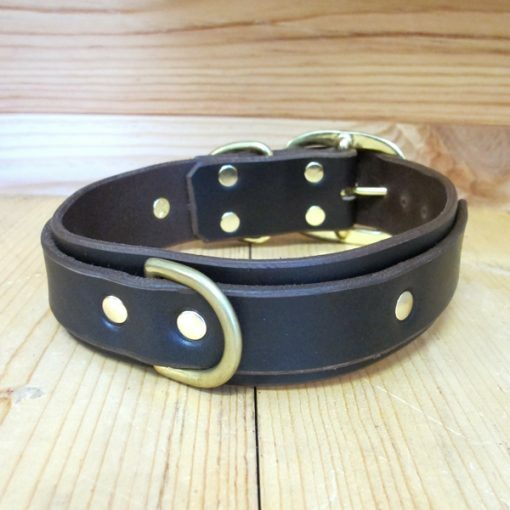 Two layers of latigo leather combine to make a statement of sophistication. 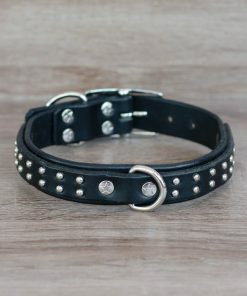 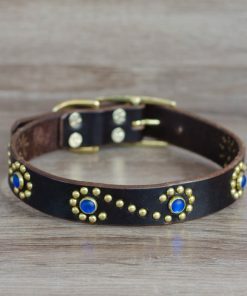 Adorned simply with structural rivets in either brass or silver and with two D-rings, one next to the buckle and one placed opposite, this collar is as functional as it is beautiful. 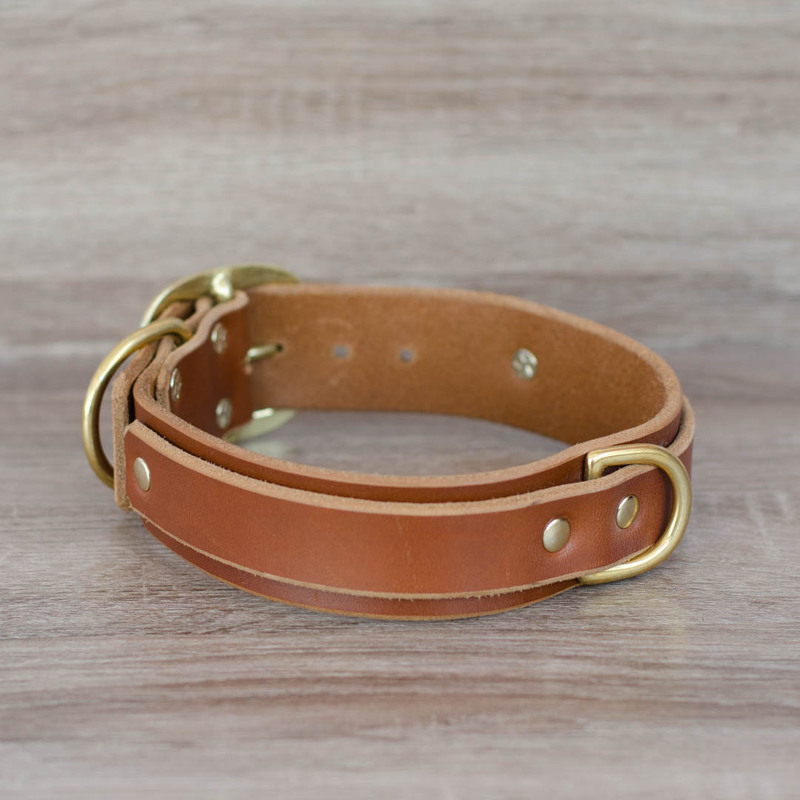 The 1.5″ Deluxe version is 1.5″ wide with a 1″ top-strip. 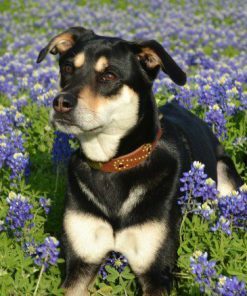 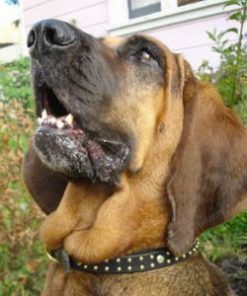 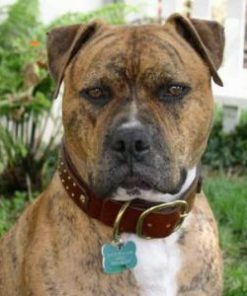 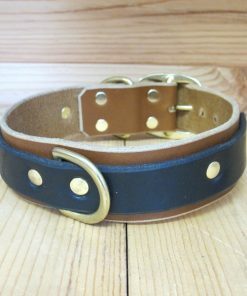 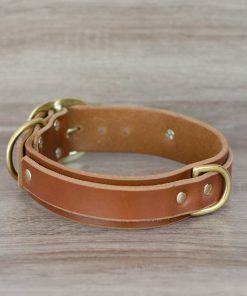 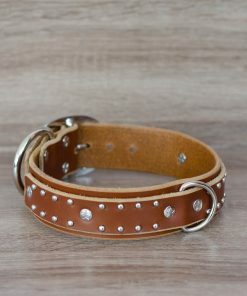 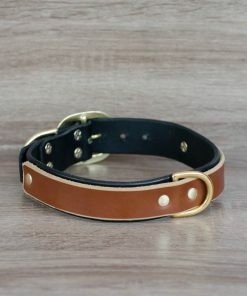 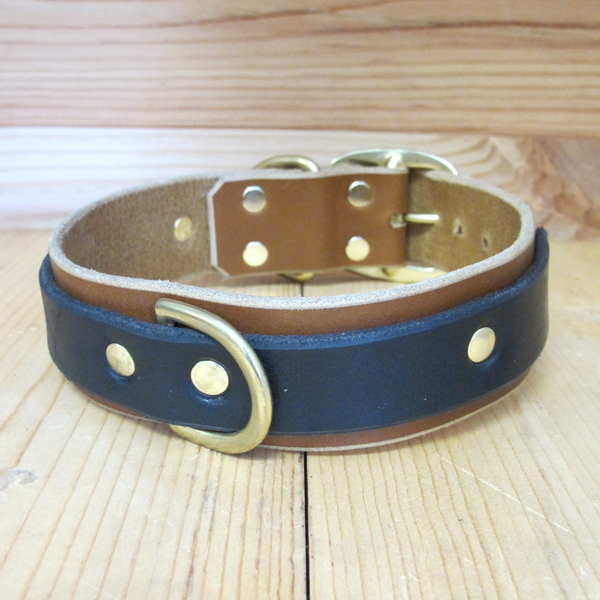 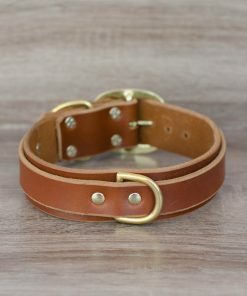 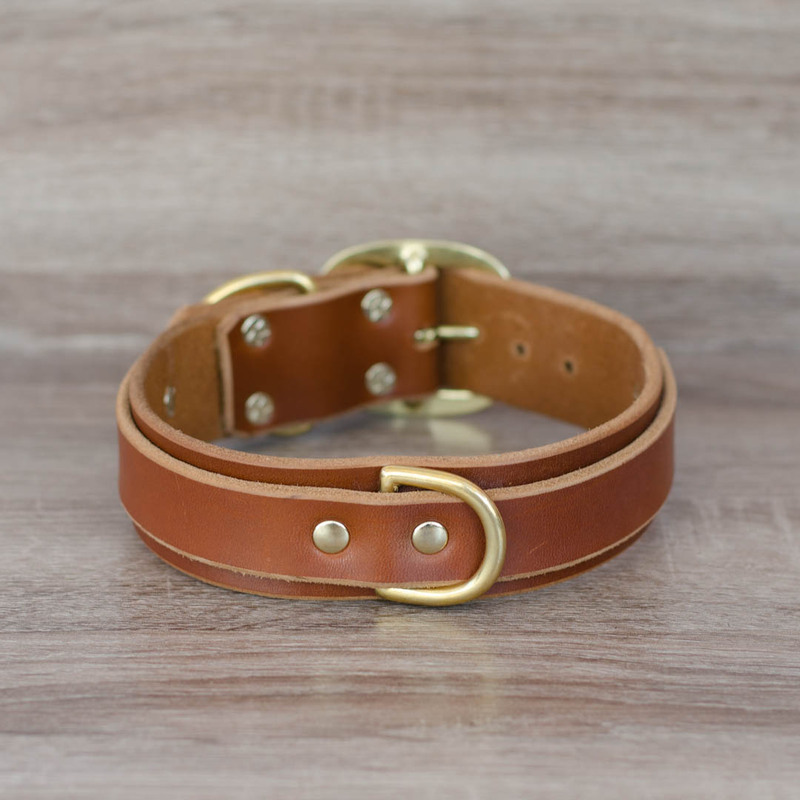 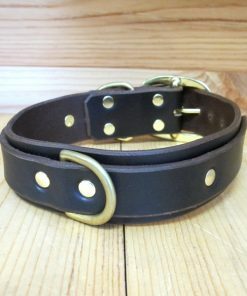 Our high-quality latigo leather provides enough collar combinations to complement any dog’s fur.